I have released my new stranded colorwork design, SIDEREAL CHECK COWL as promised. It is a companion piece to my recently released SIDEREAL CHECK HAT. 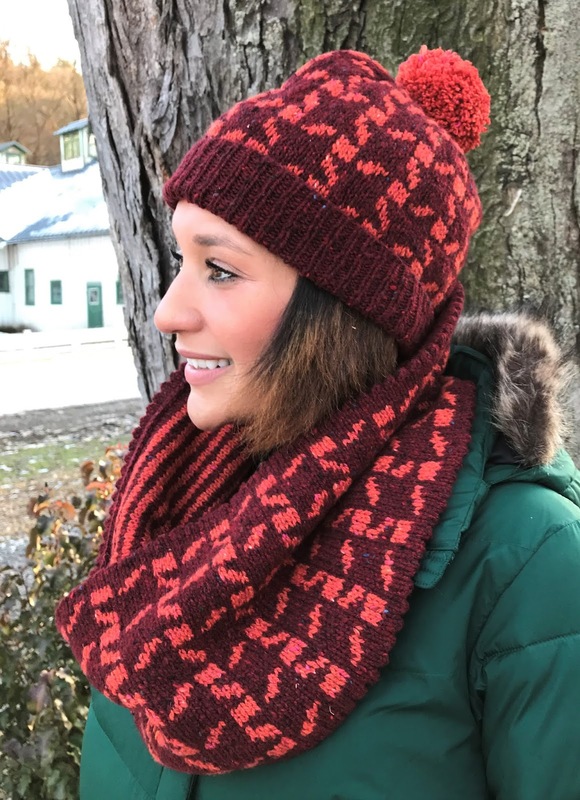 The pattern is available on Ravelry with a 25% introductory discount through midnight (EST) December 16. As I mentioned in my last post, I was very fortunate to have my designs selected for yarn support by The Fibre Co as part of Autumn/Winter Yarn Support Programme. Their gorgeous, Arranmore Light is a new favorite of mine. It blends cashmere and silk with merino wool to create an autentic tweed yarn of the highest quality. 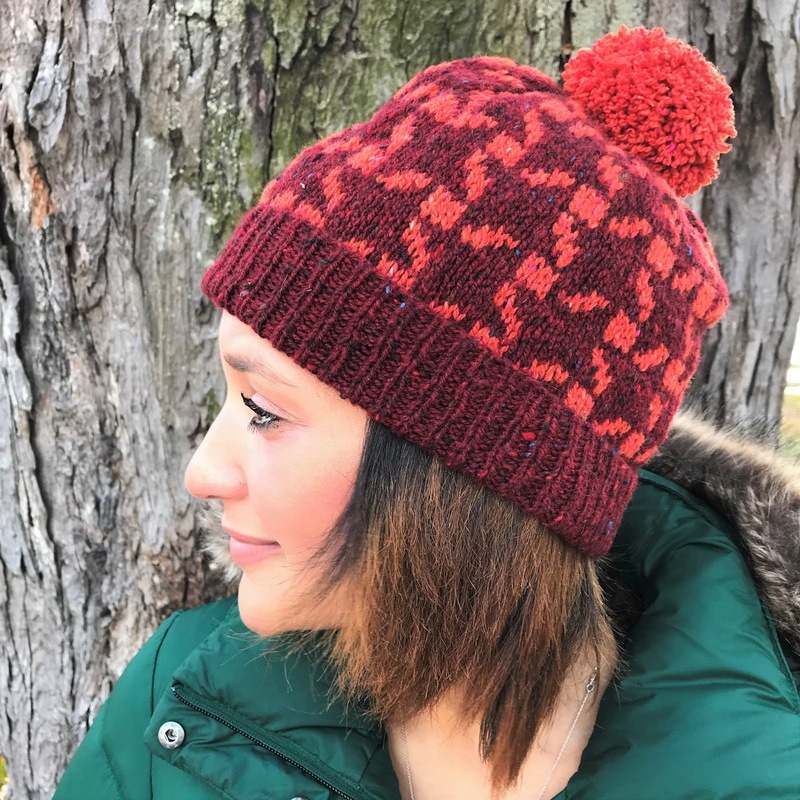 I am happy to finally introduce my new stranded colorwork hat pattern in two sizes, SIDEREAL CHECK HAT. 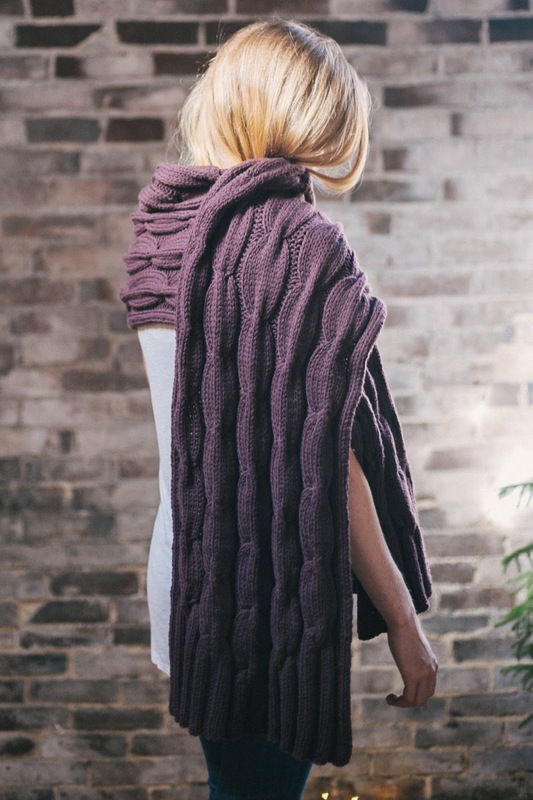 This pattern is available on Ravelry with a 25% introductory discount through midnight (EST) December 2. Earlier this year, I was thrilled to learn that I had been selected for The Fibre Co’s Yarn Support Programme AW 18/19. 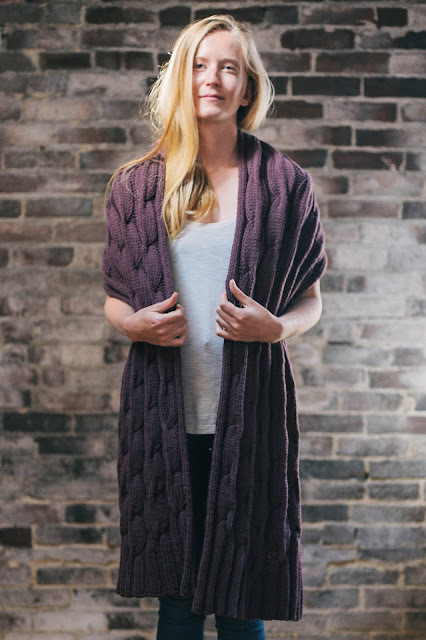 Their Arranmore Light blends cashmere and silk with a fine merino wool to create an authentic tweed yarn of the finest quality. 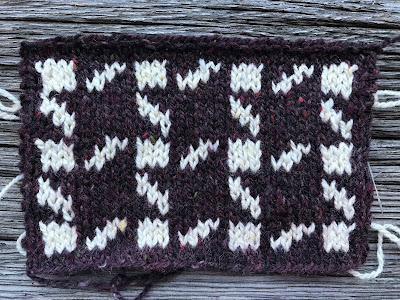 I have always loved colorwork with tweed yarns. 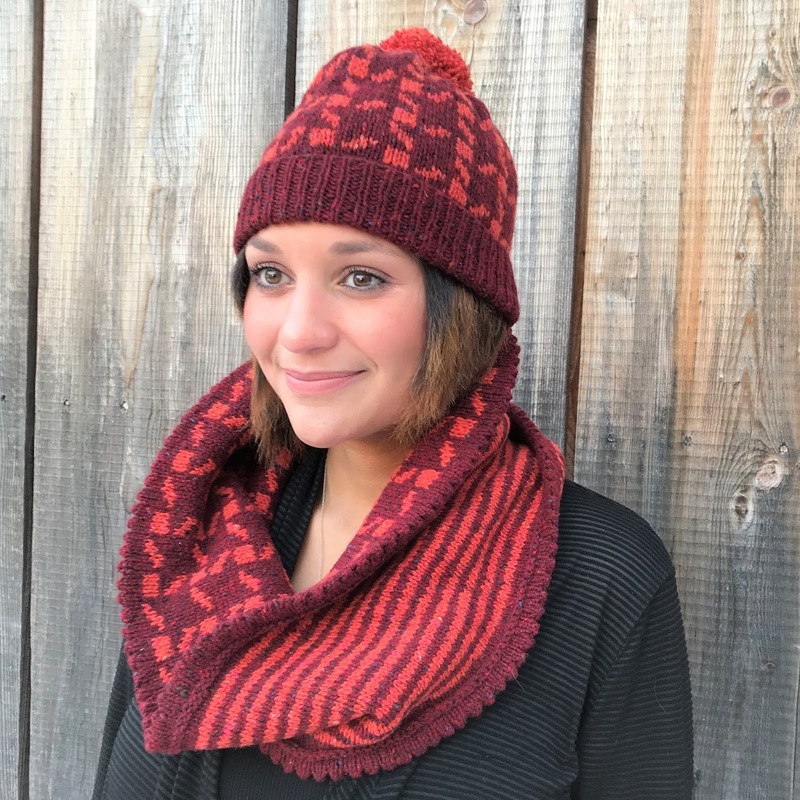 I actually received yarn support for both the hat and a coordinating cowl that will be released two weeks from today, on December 13. These colorwork projects were inspired by high fashion garments featuring graphic variations of houndstooth check. I enjoyed charting some of these checks for stranded knitting. 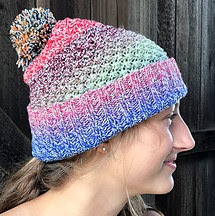 The hat, with optional pompom, may be made in one of two sizes to fit most women (men). I hope you are out there somewhere! For many weeks, I have worked on design samples and pattern-writing for my upcoming designs... A hat design will be released in two weeks and a cowl two weeks later. My original swatch in The Fibre Co's Arranmore Light is where it all began. The Fibre Co. selected my proposal for their Yarn Support Programme AW 18/19. They provided yarn (in a very different color scheme) for both projects. 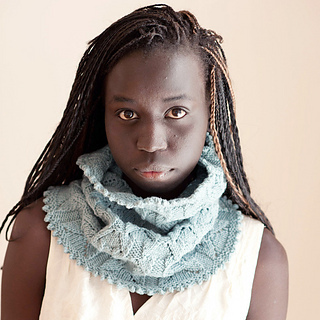 I am in need of a couple more test knitters for these designs (especially the cowl). 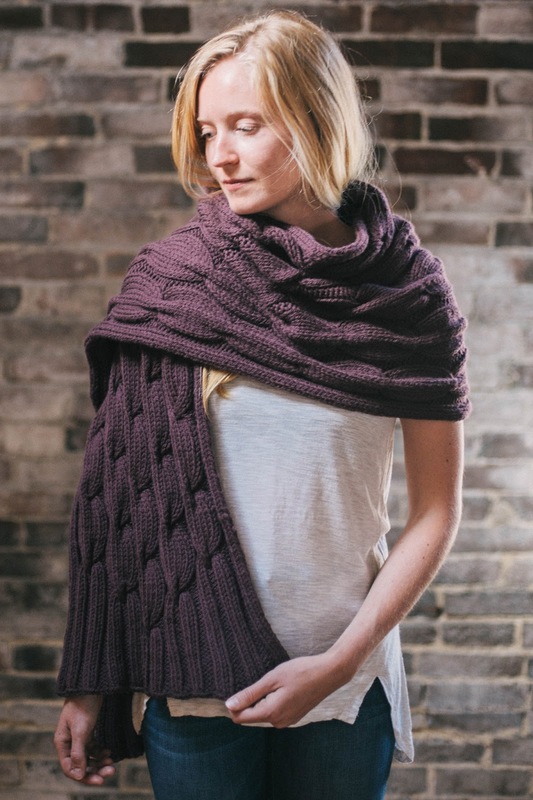 Please consider test knitting one of these for me, if you have some experience knitting stranded colorwork from a chart. For a lot more information on the hat test knit see this post on Ravelry. 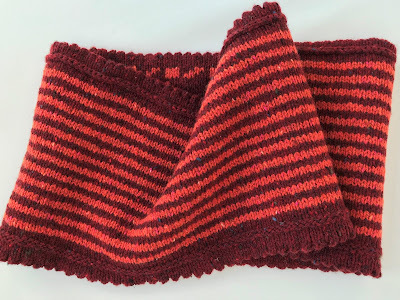 For a lot more information on the cowl test knit see this post on Ravelry. I have made the deadlines for these projects quite flexible. 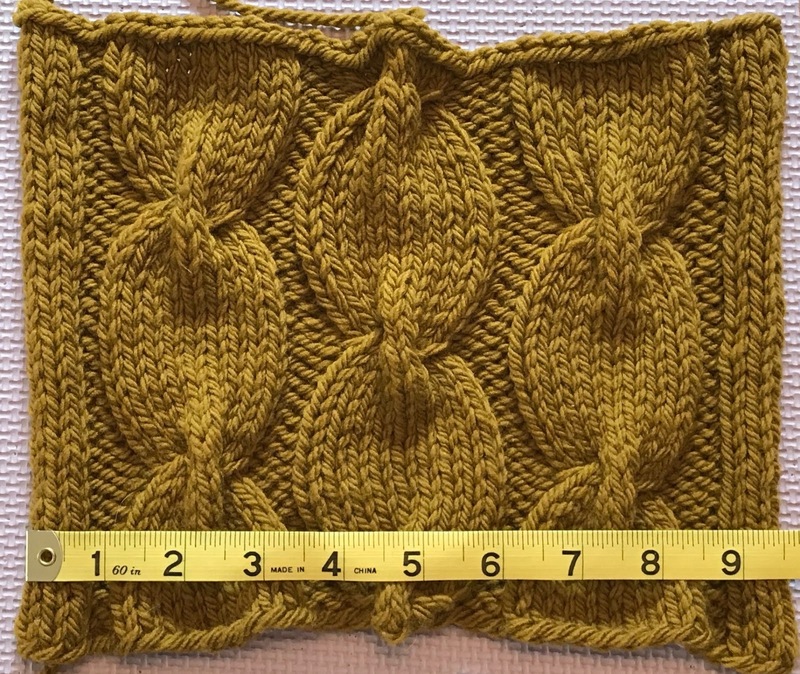 I only ask that you would have a Ravelry project page with flattering WIP photos ready to link to my pattern page on its release date. Sidereal Check Hat coming November 29! Sidereal Check Cowl coming December 13! I am interrupting all of that to announce the official launch of a brand new pattern website!!! The site is the brainchild of Yurika Kotze of South Africa -- a crochet designer who has a dayjob building ECommerce sites. 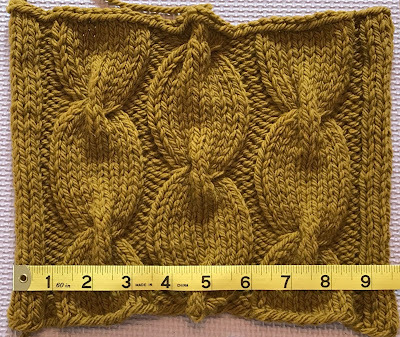 This summer, after months of work, Yurika put out a call to designers on Ravelry to gauge interest in her yet to be launched curated pattern site. Enough designers, including myself, came on-board for the launch. 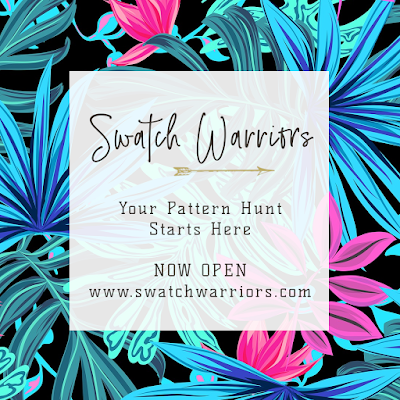 Swatch Warriors is a deeply curated collection, quite different from Ravelry, whose primary goal is to be an all-inclusive fiber-arts database. Swatch Warriors sets itself apart with Yurika's curation. She has used her designer's eye and aesthetic to sift out what are the most beautiful, fresh and forward-thinking patterns that designers have to offer. The website is lovely and easily navigated, first by tool (needles or hook), and then by category. 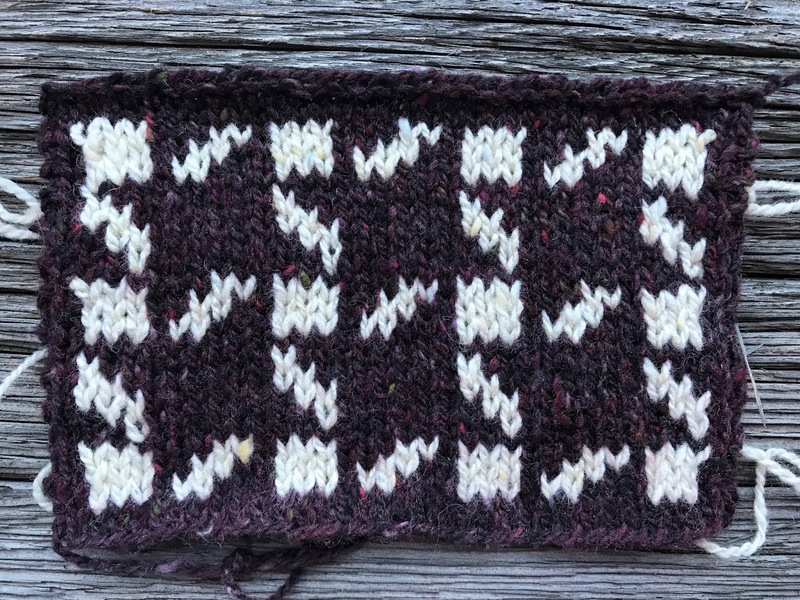 There are new patterns being added every week, and a fun featured 'Pattern of the Week'. I hope to contribute more designs to the site in the future. Please check it out. I think you will be glad that you did! DAPHNIS -- Scarves etc 7 is here! 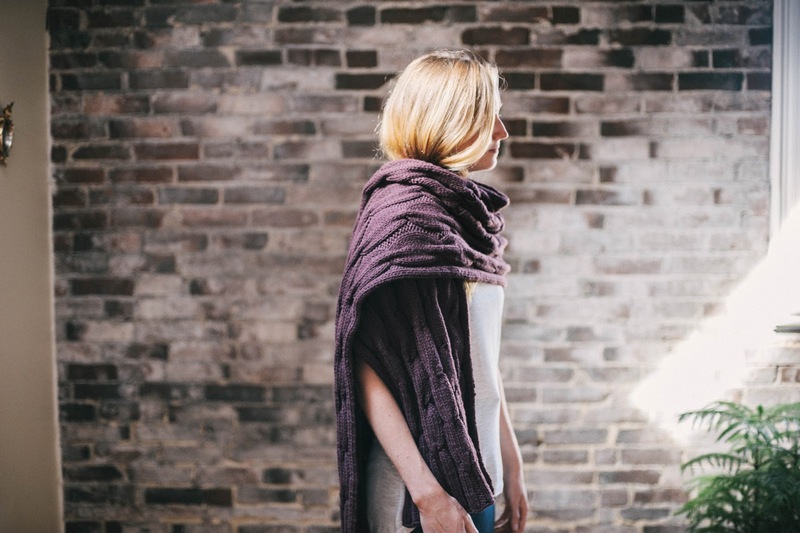 I am happy to announce the release of my scarf design, DAPHNIS. Daphnis is just one of 10 beautiful knitwear designs for hand-knitters included in Quince and co's annual neckwear collection, Scarves etc, 7. The cables of Daphnis are very round and flowing. Its generous size makes it a statement piece. The cable crossings are all the same and there are over 100 of them. I loved using Osprey for Daphnis. It is a lofty, soft, plump and round wool yarn that has tremendous stitch definition -- perfect for the triple-cross Daphnis knitted cables. The Aran weight Osprey worked up beautifully to make a substantially-sized piece that is light and lofty. The Nightshade colorway is a favorite of mine, but there are dozens more to choose from. The first one was Scarves etc 2012. I was very lucky that year, as a new knitwear designer, to have my cowl, Jonna selected for Quince & co's first annual collection of scarves, cowls, wraps and shawls. A new design of mine will be one of 10 in the new Scarves, etc 7 to be released on Thursday, October 11! It is so rewarding to have finally got back in again! Quince is so amazing to work with. 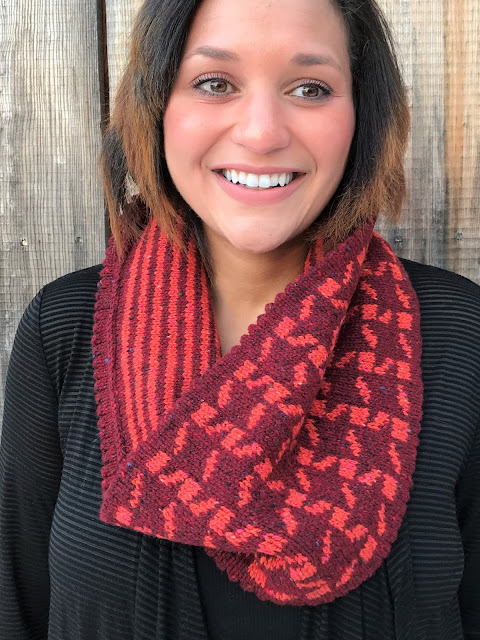 One of my favorite people at Quince is Jerusha, who just posted about Scarves, etc through the years. As before the release of Jonna, I have not yet seen any of the Quince photography for my new design with the sample that I made this spring. I can hardly wait to see them, and the other 9 designs in the Scarves etc 7 lookbook on Thursday! You can go to the post by Jerusha, and click through the link at the bottom to sign up for Quince email announcements... or follow me here, or on Ravelry, but especially on Instagram. There will be a good number of cables. My latest design, Trinity Mountain Hat, was recently released by Green Mountain Spinnery. It was a fun and colorful project! 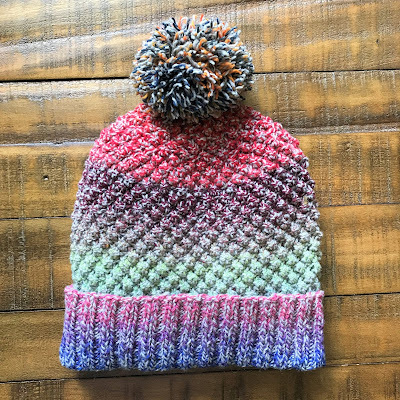 I designed the hat to show off GMS's brand new DK weight Ragg-Time yarn. 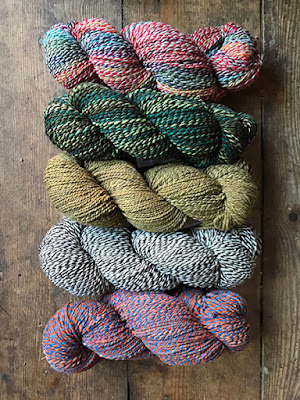 This 100% wool yarn comes in many stunning colorways. The "Holiday" colorway, on top above, was sent for me to work with for my hat design. 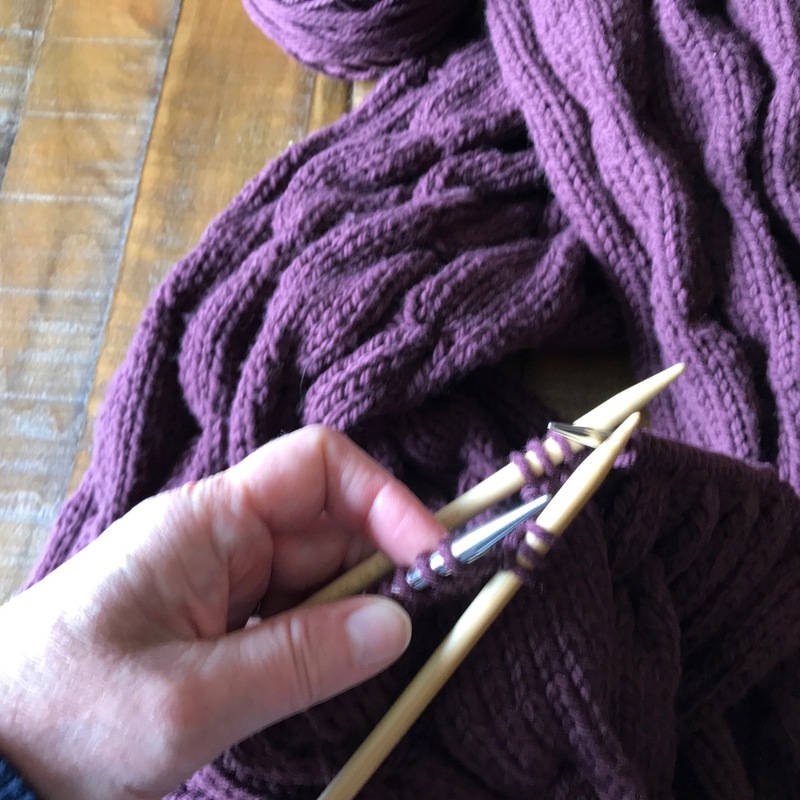 This colorway is actually more of a gradient yarn with long lengths of color that do not repeat within one skein. This became evident once I wound my skein into a ball. 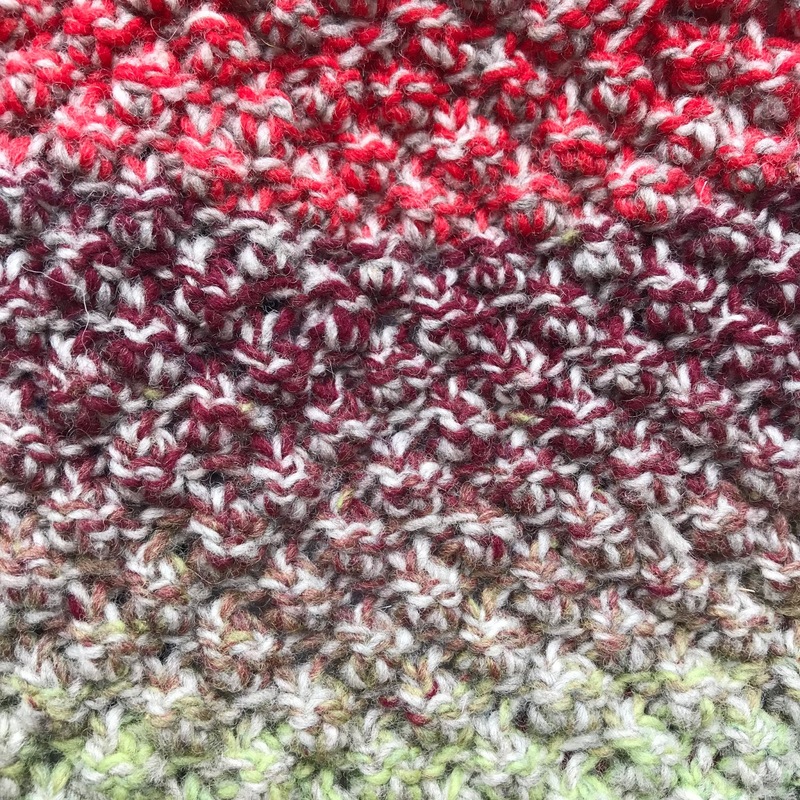 I selected a highly-textured stitch pattern most commonly known as Trinity Stitch. 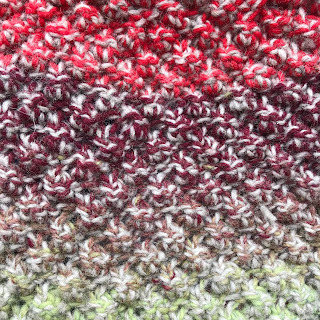 The stitch pattern continues through the decreasing of the crown. The pompom is optional. (will stretch to fit heads up to approximately 19 (22, 25)” / 48.5 (56, 63.5) cm). 10½ (11½, 12)” / 26.5 (29, 30.5) cm un-cuffed height. Yarn250 - 300 yards (229 - 274 m) DK weight yarnOne skein of Green Mountain Spinnery Ragg-Time will be enough to make a hat in either of the two smaller sizes along with a pompom similar in size to sample hat. 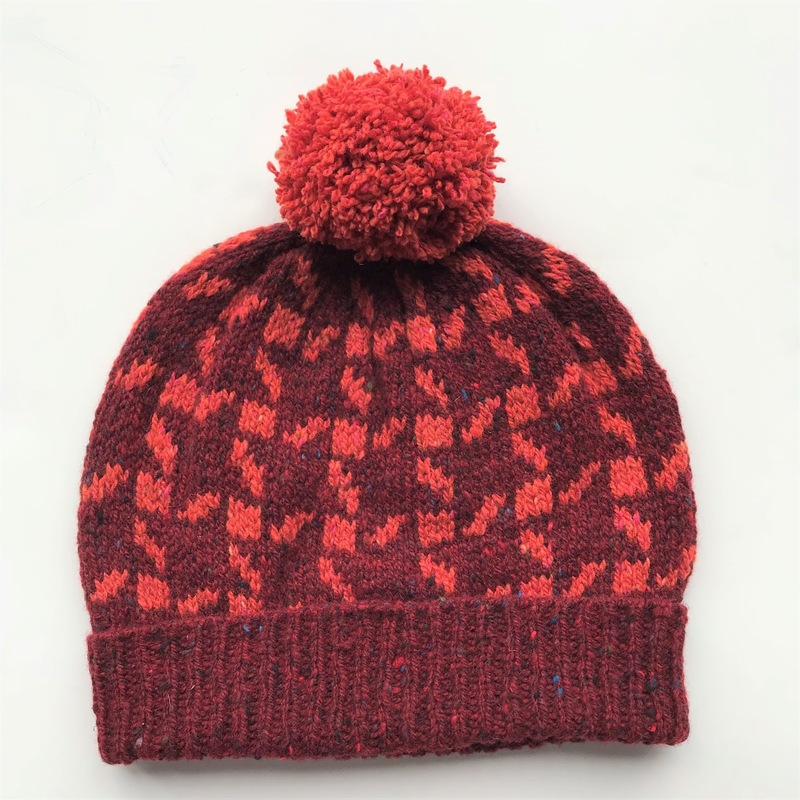 If making the largest size hat, a smaller pompom could be made. - Size US 6 [4.0 mm] needles: 16” circular (cir) and set of double-pointed (dpn). View the Trinity Mountain Hat on Ravelry for more information. Both pattern and yarn are available at the Green Mountain Spinnery website. 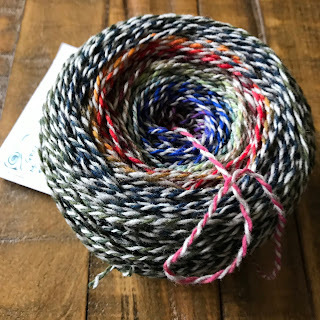 Also see this GMS blog post for more information on Ragg-Time yarn and other ideas for using it. This first photo is my favorite shot from Glacier National Park on the Canadian border in Montana. I did not take it. Dave Kuharchick, a local TV personality who was touring with us, shot it with my iPhone 7 plus. He was sitting at the window during that part of our Red Bus tour. I learned a lot while watching him (quickly) set the focus and zoom. We were sincerely told that our views on that rainy day were far better than those we would have seen on days (before or after) when the smoke of wildfires dominated. We learned a lot about why natural, controlled, forest fires are both healthy and necessary for the ecosystem. My Part 3 Rocky Mountain Post will be all about Yellowstone.